1. Heat up the corn oil in a microwave for about 30 seconds ~ 1 minute. Sieve the cake flour into the hot corn oil and mix evenly to avoid clumps of flour. 2. Add in the milk and egg yolk and mix evenly into a smooth batter. 3. In another mixing bowl, add in egg white and salt, then gradually add in sugar while beating until soft peaks form (this is the meringue). 4. Scoop 1/3 of the meringue into egg yolk mixture, mix evenly. 5. Pour the batter from (step 4) into the remaining meringue, gently mix well. 6. Pour the batter into the pan and tap the pan lightly on a tabletop to get rid of bubbles in the batter. 7. 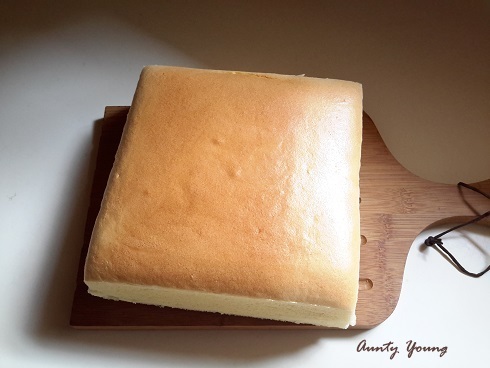 Using steam bath method, bake with a preheated oven at 170°C for 10 minutes then turn down to 150°C for another 40 minutes. 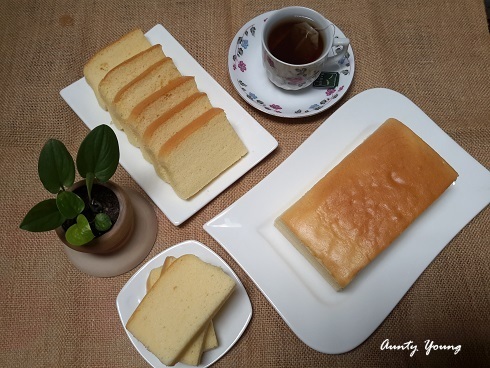 The first time I baked the Taiwanese Cheddar Cheesy Sponge Cake, in which I used 7 size A eggs, the end result is a cake that overflowed after baking. 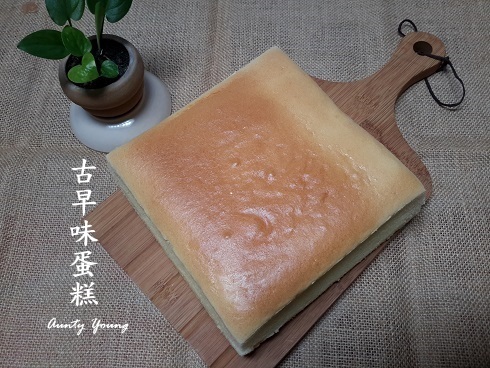 The second time, I baked a Taiwanese Parmesan Cheesey Sponge Cake using 7 size B eggs, resulting in a cake that fits the pan perfectly. 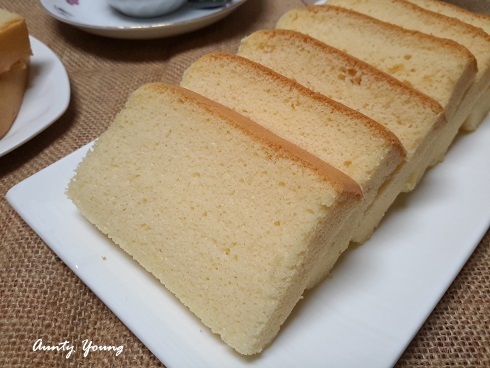 This time, for this Taiwanese Sponge Cake, I used 6 size A eggs. 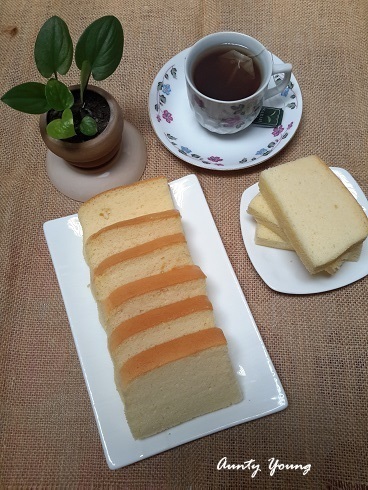 The resultant cake is quite alright, but I personally prefer using 7 size B eggs. 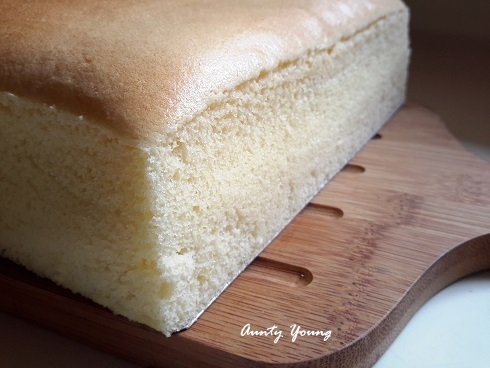 Your Taiwanese sponge cake looks fantastic, so soft and fluffy. Can I ask what is the weight for size B eggs? Homemade always the best and yours look much better than the storebought ones. >o< Enjoy your week ahead. Thank you Kristy for your kind and encouraging words. how do you steam bake ? 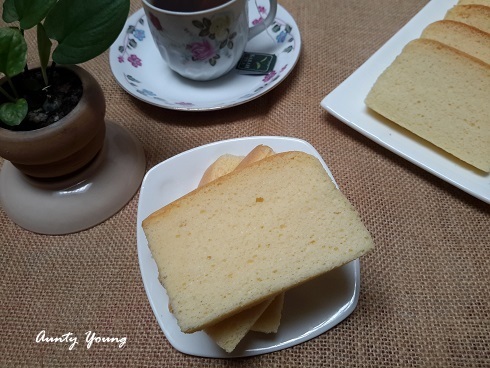 Place the cake pan on the middle wire rack of the oven,place another tray filled with hot water at the bottom rack of the oven. 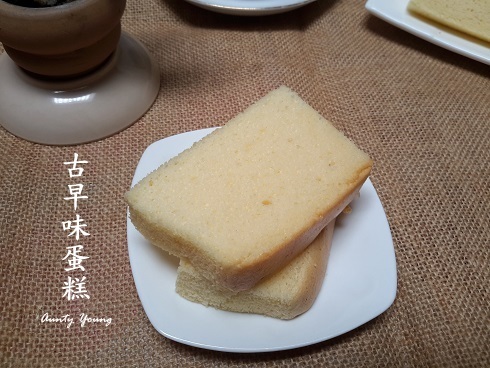 This method prevent the cake from cracking when the cake is done.